Italy finished an uninspiring fourth in the 2019 International Ice Hockey Federation’s U20 World Junior Championship. But it was an improvement over the previous year when the Italians were winless and last in Group B of Division I. 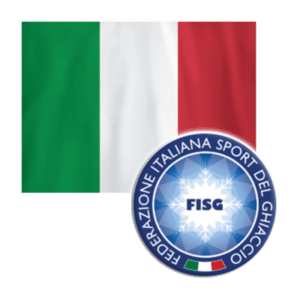 After the WJC, head coach Giorgia De Bettin was quoted by Italy’s sports federation as saying he was “satisfied but not completely” with his team. Next year just might be one of marked improvement. Top goalie Davide Fadani is surely among those “positive notes” the coach was thinking about. The 2000 recorded a 2.75 goals-against average and a .911 save percentage in five games. The six-footer, who was named top goalie in the 2019 WJC, should be an anchor for his national team in 2020 with another year to develop. He is currently playing elite junior A hockey in Switzerland where he has a 2.78 GAA. Other 2000-born players who will be expected to contribute heavily after gaining more seasoning and maturity are forwards Stephan Deluca and Patrick Demetz. They scored only one goal each in the 2019 tournament, but both have shined with their junior teams. Deluca has a dozen goals and 17 assists in 32 games in elite junior A hockey in Switzerland, while Demetz has 20 goals and 21 assists in only 28 games in a German U20 league. Samuel Payra, a defenseman who has 12 goals and eight assists in Italian U19 hockey. Payra has put up solid offensive numbers throughout his career, including one season in which his goal total (19) exceeded his games played (15). Michele Covi, a forward who has poured in 21 goals in 26 games while assisting on 16 this season in a U18 league based in Hungary, Romania, and Austria. Yuri Cristellon is another forward who can generate offense, as his nine goals and eight assists in 18 games against grown men in the Italy2 League show. The only player from the Italian team skating in North America is Gregorio Gios, who has been with the New Hampshire Jr. Monarchs of the National Collegiate Development Conference since the beginning of the New Year. The defenseman has a goal and an assist in six games. Gios, who has an opportunity to fine tune his game for American college hockey while playing in the U.S., has been Italy’s WJC MVP for two straight years.